It was an evening of glittering gowns, lively entertainment and a culinary feast. The 2018 Becas Ball was recently held at Club Regina in Puerto Vallarta. Over 200 attended the festive event that featured a historical Austrian theme. This fund raising event benefits the non-profit, Becas Vallarta. A school scholarship fund. The beach resort was transformed into Austria’s Schönbrunn Palace. In 1742 it was commissioned by Emperor Leopold I and it was designed by a Baroque architect who received his training in Rome. It was originally an imperial hunting lodge. It eventually grew into the palatial summer residence over the course of the eighteenth century. For the Becas Ball the Regina’s grounds were elegantly decorated and jugglers and stilt walkers made their way through the venue during the cocktail hour. Bartenders were mixing specialty drinks including dark chocolate martinis and basil kiwi cocktails. The music of Johann Strauss, the famous Austrian composer, filled the air. After about an hour guests filed into the dining area, where all the tables were decorated with elaborate fresh flower displays, candles and crystal. In keeping with the royal theme, the ladies were crowned as they entered. Large posters of Austrian royalty Kaiser Franz Josef and Queen Sissi were highlighted. He was emperor of Austria from 1848 to 1916 and king of Hungary from 1867 to 1916. He divided his empire into a dual monarch in which Austria and Hungary coexisted as equal partners. Franz has been described as a gentleman of irresistible charm who loved his wife to a degree that bordered on infatuation. He had the third longest reign in the history of Europe. In keeping with the theme the owner of Puerto Vallarta’s only Austrian restaurant, Kaiser Maximilian, named in honor for Fran Joseph’s brother Maximilian emperor of Mexico, was consulted for the menu. The four course meal was spectacular. During dinner the show by Farra Group included live music and dancers. A special appearance by Franz and Sissi kicked off the special entertainment. The royal couple took the stage and watched performers from all over the world, by Prana Show. There was a contortionist, crystal ball handlers, a fire dancer and a hoop artist. The evening ended with a spectacular fireworks display and then it was live music and dancing for all. Monies raised go to Becas Vallarta, Changing Lives Through Education. There are over 400 students in the program and they have been assisting children with limited economic resources for over 50 years. Scholarships start during the second year of junior high and run through senior high and then, hopefully through university. Once a student is accepted into the program, they promise to fund his or her education until the goal is reached, even if the goal is to become a doctor. Tuition is paid along with school uniforms, proper shoes and school supplies such as the notebooks and pencils, pens, etc. that are required. The student must maintain a grade point average of 8.5, be a good citizen in school and at home, live in Puerto Vallarta and help with events when asked. Becas Vallarta improves the students and their families with a better quality of life so they can become self-sufficient and contribute to the progress of the community. 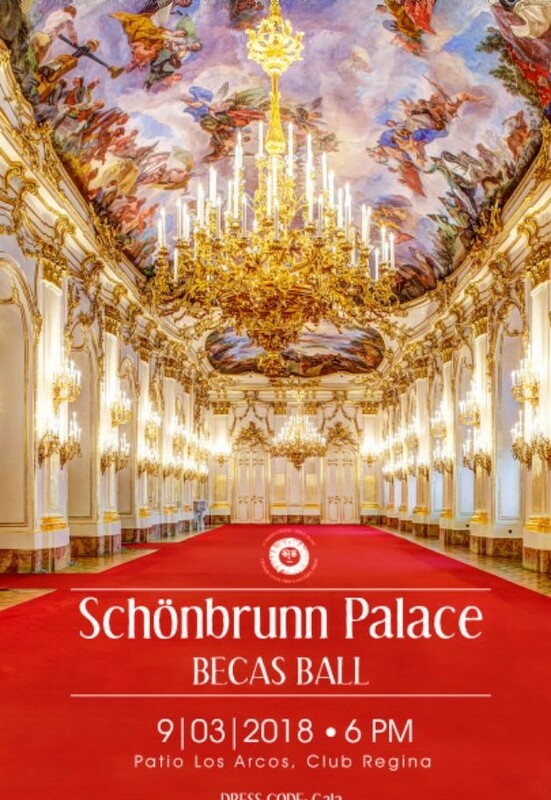 This entry was posted in Events and tagged Becas Ball 2018, Becas Ball Puerto Vallarta, Kaiser Maximilian Puerto Vallarta, Restaurante kaiser Maximilian.